MANILA -- The Philippine National Police (PNP) on Monday welcomed the latest Social Weather Stations (SWS) survey showing more Filipinos are satisfied with the government's war against illegal drugs. PNP chief Director General Oscar Albayalde said the successful campaign against illegal drugs is due to the decrease in violations committed by some police officers on the ground during operations. “The result of the increase in the satisfaction rating, nakita ng mga tao natin na less na, kung meron yung mga nagiging alleged violations na nangyayari (people saw that there are less violations) on the ground during police operations. So far, wala pa tayong nakitang (we have not seen any) complaint. Ito yung mga complaint na nakikita natin yung mga umaabuso lalo na yung mga nangongotong yun ang nakikita natin na hindi pa rin tumitigil, yung nag-eextort, yun pa rin ang hindi matigil. (The complaints that we see are against those who abuse their power, those who are committing extortion. From what we see, these acts haven't stopped.) Pero (but) when it comes to police irregularities during police operations, makita natin very less kung meron man (we see that these are becoming less),” Albayalde told reporters during the press briefing on Monday. 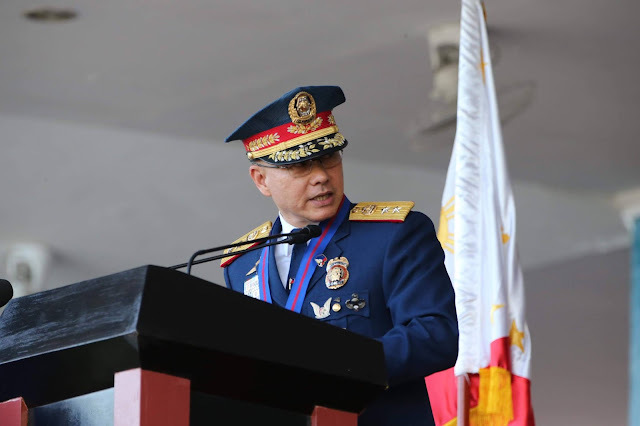 The PNP chief said that this will serve as both an inspiration and a challenge for the police to intensifty the campaign further along with the built-in safeguards to maintain its good intentions without irregularity or abuse. “Because of these innovations, yung recalibration na ginawa, makita natin yung mga operations na ginawa ng pulis ngayon (the recalibration which was done, we can see that police operations,) they are even covered by video, even the CCTV on the ground,” the PNP chief explained. Based on the 2018 SWS second quarter survey, the Duterte administration scored 'very good' in its campaign against illegal drugs. It added that at least 78 percent of the respondents said they were satisfied with the relentless campaign against illegal drugs. On the other hand, 13 percent was dissatisfied while 9 percent was undecided, resulting in a net satisfaction rating of +65 percent. The net satisfaction rating is a point higher compared to the same period last year, while it is 3 percent higher compared to the 2018 first quarter survey.